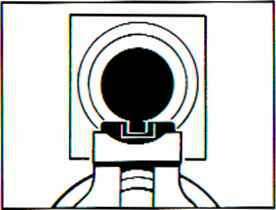 ADJUSTMENT - Each click of the sight adjustment screw (either windage or elevation) will move the point of impact of the bullet approximately 3/4" at a range of 25 yards. 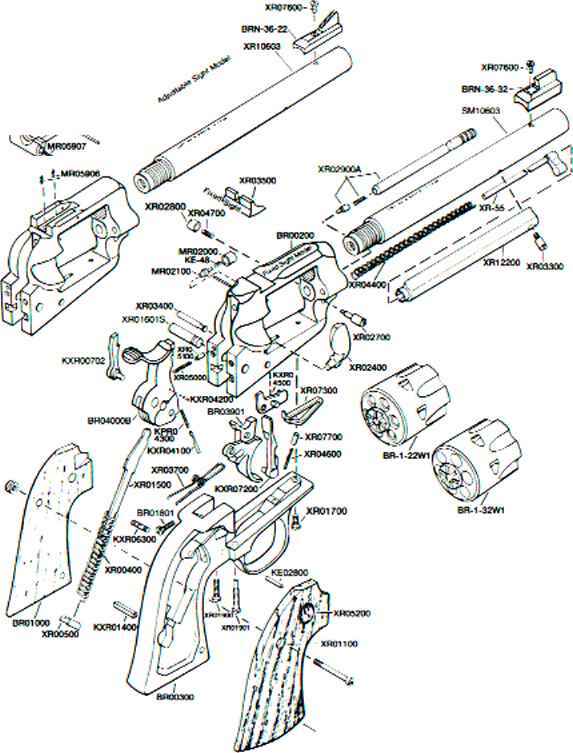 The height of the front sight has been set to take advantage of the elevation adjustment in the rear sight, considering the various ranges at which the gun is most likely to be used. Barrel length and load used affects trajectory. Therefore the shooter should determine sight settings by firing trials. To raise point of impact: turn screw counterclockwise. To lower point of impact: turn screw clockwise. Top of front sight even with top of rear sight blade. Front sight centered in notch of rear sight blade. Target bullseye centered on top of front sight. To move the point of impact to the right: turn screw counterclockwise. 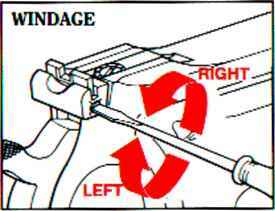 To move the point of impact to the left: turn screw clockwise.